The New Duke Cancer Center, originally uploaded by needlepointernc. I go to see Dr. Brigman every year in December to see about the HEALTH of my right hip. Saw him yesterday and there have been no changes since my last visit. So, that is good news. 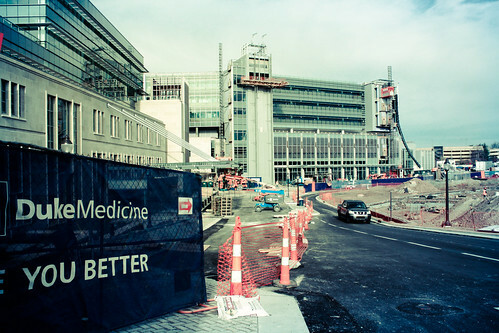 This is a photo of the new Duke Cancer Center that is supposed to open in February. Looks like they have a lot of work to do to open by then! Glad to hear you got a good report. So good to hear all is well with you. That is a huge facility. Glad you checked out! Wow that looks like some facility! Thanks Tammy! It will be a new comprehensive one stop building for all who need treatment. More attention to the patient’s needs etc.